Jennifer Boddicker grew up in Dalton, Georgia. Her family relied on food stamps at times. Education was her ticket out of poverty, so she worked hard in public school. She majored in microbiology on academic scholarship from University of Georgia. She paid the bills working at McDonalds. Later, at the University of Iowa, she earned a Ph.D. studying Salmonella, which causes food poisoning. As a Centers for Disease Control (CDC) Postdoctoral Fellow, Jennifer worked in public health. She developed a quicker test for mumps virus. After that, she taught medical, dental, and nursing students at the University of Iowa. Since moving to Florida, Jennifer wrote her first novel, Cleaning House. It won the Florida Writers Association Book of the Year in 2016. Cleaning House draws on Jennifer’s childhood. The main character is a single mother, a cleaning lady, who struggles to provide. Jennifer’s husband is a Gulf War veteran. He now works as an accountant. They have two children in Naples public schools. Jennifer previously served on the board of her children’s daycare and is a member of the Episcopal Church. Her son is a Little League pitcher and her daughter loves gymnastics. In light of the profound challenges facing our state and country, Jennifer believes legislators should push back against special interests and create policy based on objective facts, not fake news. 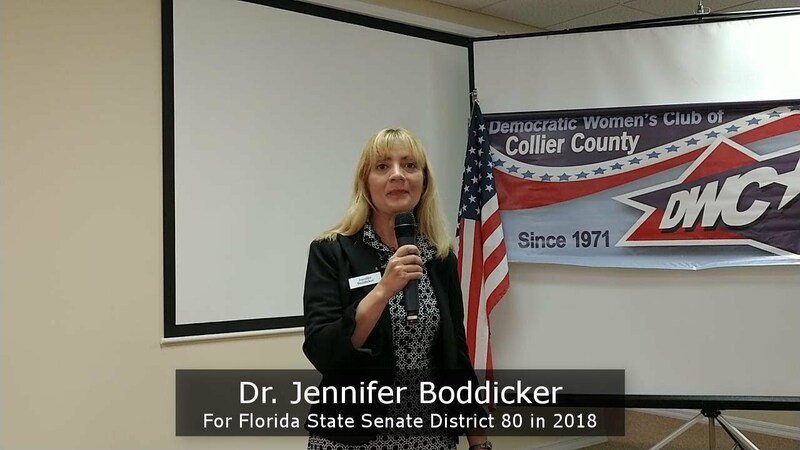 You can visit VoteBoddicker.com to learn more about Jennifer. PLEASE DONATE AND SUPPORT JENNIFER IN ANY WAY POSSIBLE! She is NOT taking corporate or dark money and needs YOUR help to win.